One of the most talked about incidents in modern F1 racing is the 1994 championship deciding collision between Michael Schumacher and Damon Hill at Adelaide, a scene played out again in 1997 when Michael and Jacques Villeneuve had a collision in Jerez. I will start out by saying that I am a fan of Schumacher and not of Hill, some people will say that this makes me biased, but I am a racer’s racer and quick to criticize poor driving. Firstly lets analyse the collision in 1994 between Hill and Schumacher. Schuey made a mistake and ran wide leaving a chance for Hill to pass. Hill being a racer saw his chance to pass for the lead – meaning he would win the championship if he could hold out Schumacher until the end of the race. A relatively easy feat as he had an (arguably) faster car, and it is very difficult to overtake in Formula 1 today. 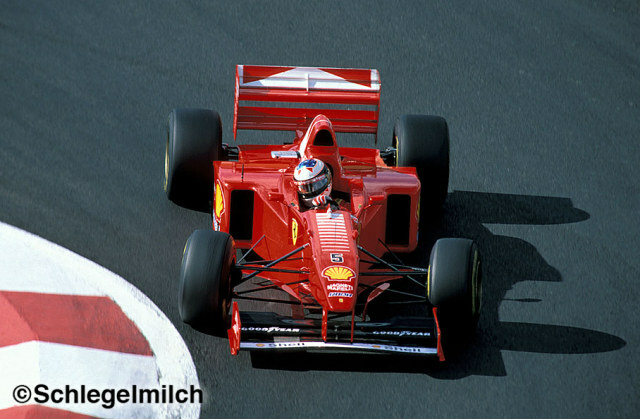 Schumacher being a racer to did not want to relinquish his position, as he knew Hill having the (arguably) faster car would pull away and his chances for the championship would disappear off into the distance with him. So Schumacher tried to shut the door. Unfortunately for both of them and for us fans Hill was already halfway through. Now neither driver could have changed just after this point and the crash was imminent. However the question remains was it deliberate? In my eyes it was not a deliberate attempt by Michael Schumacher to crash Hill out of the race (and the championship), but an attempt to hold onto the lead. Now I don’t believe that Schumacher could have seen Hill due to the angle of his car – meaning Hill would not have been visible in Michael’s mirrors, and due to Formula 1 regulations on the cockpit Michael wouldn’t have had the peripheral vision to see Damon. However, this is my belief and Michael is the only one that would really know. The resulting crash was unfortunate for Michael in that his great driving throughout the season was clouded by one incident, and he did not get to finish the race. Also for Damon in that he did not win the championship and did not get to finish the race. The fans were unable to see an enthralling battle between two great drivers in a race for the glory of being World Champion. The events that unfolded at Jerez in 1997 between Michael and Jacques Villeneuve have a completely different appearance. I believe that Michael had a terminal problem with his car. Maybe it had something to do with that unpromising cloud of smoke coming out of the rear of his car in the previous corner. This allowed Villeneuve to close up and pull alongside Michael to make an inside pass. This pass would have been clean and trouble free if Michael did not deliberately turn into the side of Villeneuve in an attempt to take him out of the race. It is quite blunt but that is the way I believe it happened. Michael knowing he was out of the race (due to this terminal problem), knew that Jacques would go on to win the race and along with it the championship. When Jacques pulled inside Michael, Michael originally began to turn to the left to give Jacques racing room and pass cleanly being a professional racer. Then posed with the championship slipping through his fingers, all the hard work he had done all year turning into nothing Michael saw an opportunity to change this and immediately turned hard right. It appeared a quite blatant attempt to take Jacques out of the race and thus out of championship contention. I’m not sure how I would react myself in this situation but I might have done the same, I’m not saying Michael’s actions were justified I’m just saying that he was posed with a decision and took the option that could have reaped him great rewards. Unfortunately for him it caused him great difficulty and wounded his character. I believe that he got off lightly with only losing his second place in the world championship. He could have received a much harsher punishment similar to the six-month ban Senna was threatened with. Fortunately for Jacques he went on to win the championship and reaped the rewards for his hard work during the season, having been unfortunate not to win the championship in his rookie year. Unfortunately for Michael his actions put him under great criticism and a lot of stress, next time I hope he thinks twice. The 1994 incident resurfaced due to this crash and became interpreted as a definite attempt to take Hill out of the race as well. These are my own views and you are free to have your own, however if you feel I am like Murray Walker and “very much mistaken” feel free to send me an email at Buttwhisker@hotmail.com. Disclaimer: The views expressed by the author of this article are not necessarily those of mSchumacher.com, which may differ. Michael won the first GP of the 2000 season!